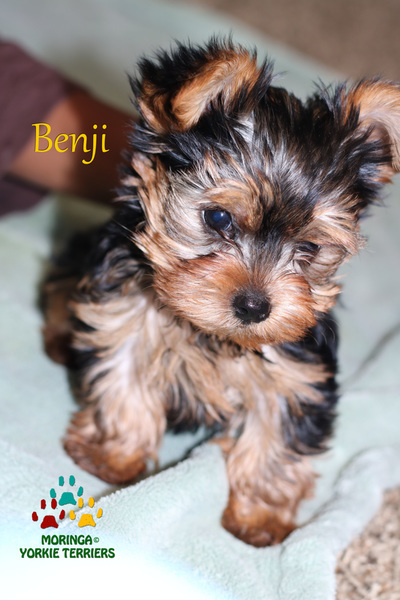 See Some of Our Past Puppies! 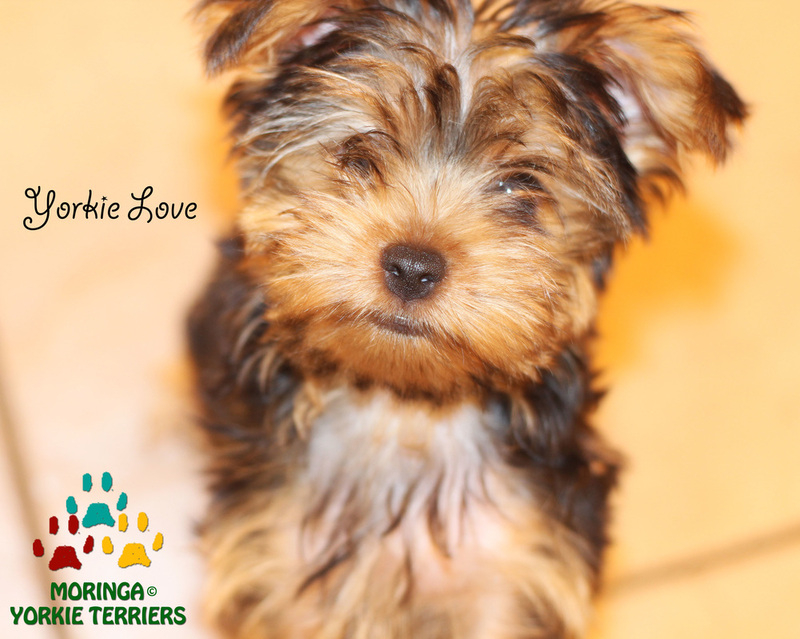 A photo gallery of some of our puppies, that found forever homes. 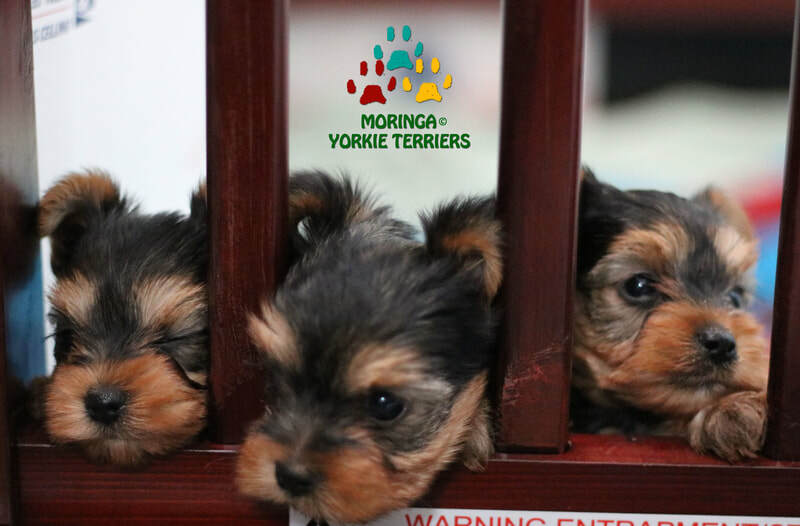 Our Yorkie Puppies: We specialize in short snout, teddybear face yorkshire terriers. ​Our litters are in the 3lb-4lb wight range. 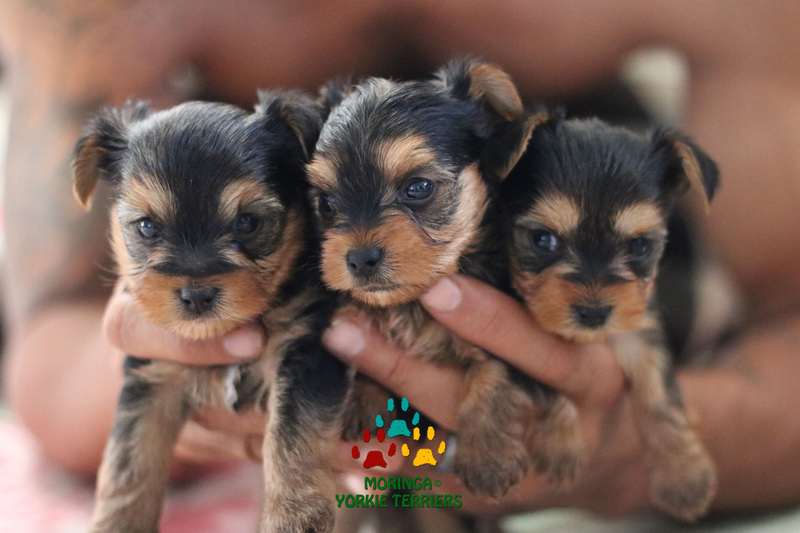 They are affectionate, and energetic dogs with so much love to give. 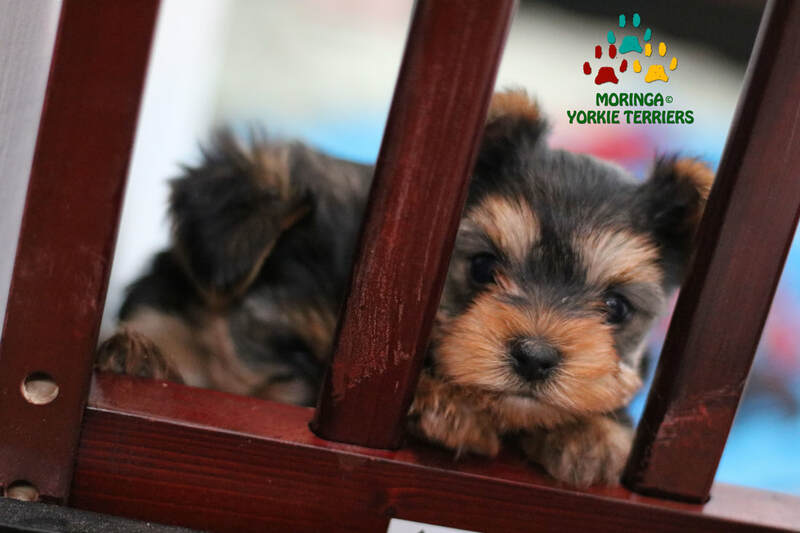 Yorkies are the perfect indoor pet with "no shedding" which is great for people with allergies. And forget not, they are tiny dogs so you must keep an eye out for these fast little guys to keep them safe. 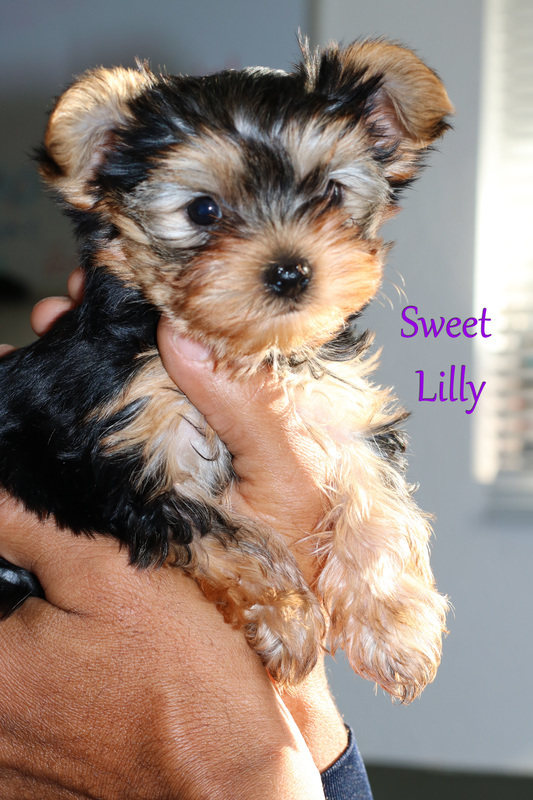 They have a great hearing sense which make them awesome guard dogs. 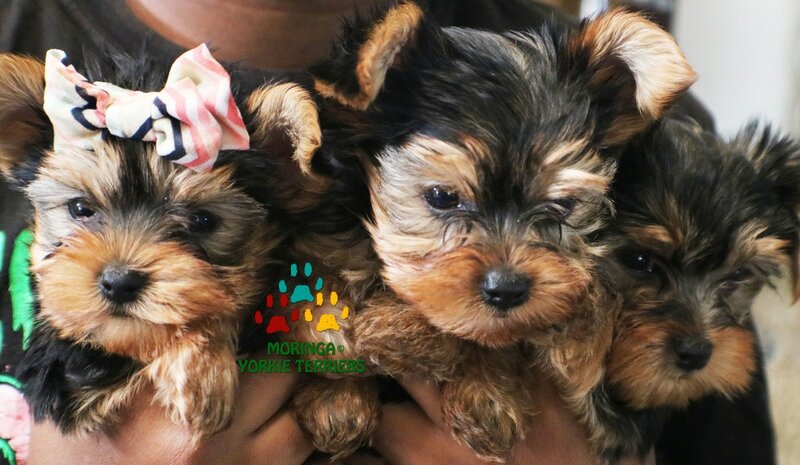 Yorkie Puppies my look like toys but they are very fragile. 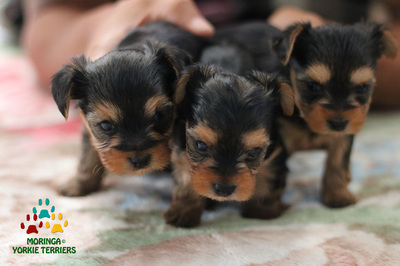 They have little bodies and tiny bones that can be easily fractured, especially teacups. They all require a lot of extra care. 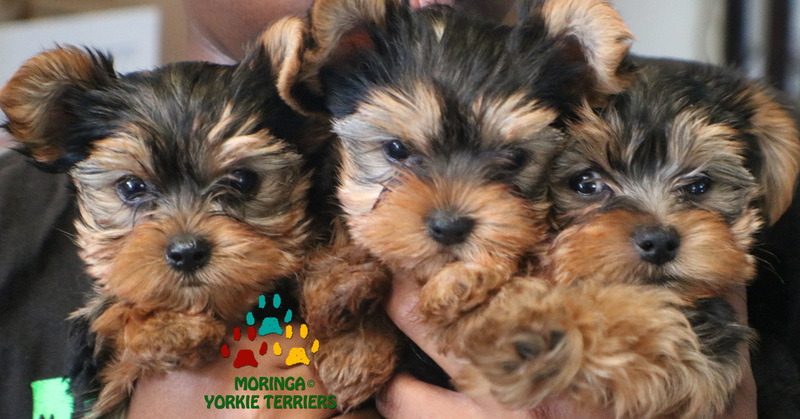 With children they can be in great danger, young children often can be to ruff wanting to hug and squeeze or kick these little guys. 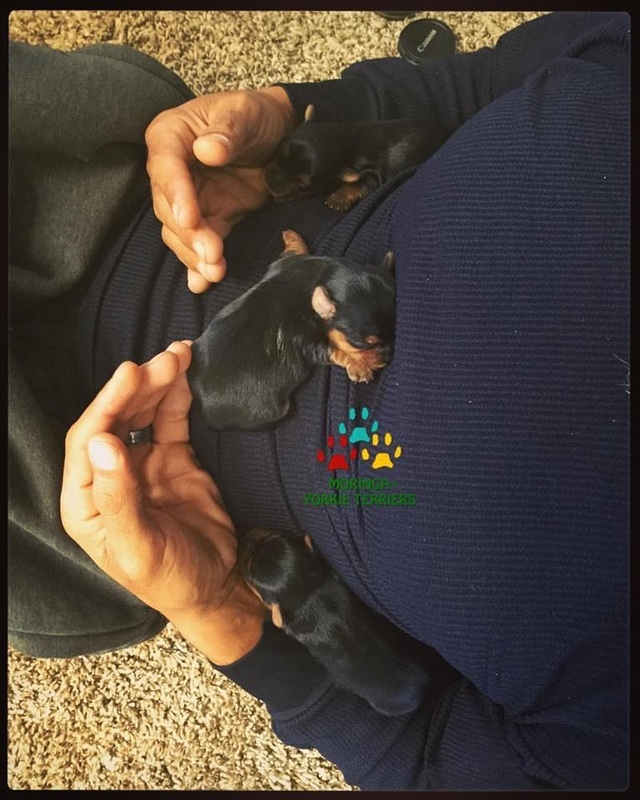 They can also be easily dropped and suffer broken bones or fatal injury that causes heart brake so please be very very careful. Households with children should be 7 years & up and very responsible. 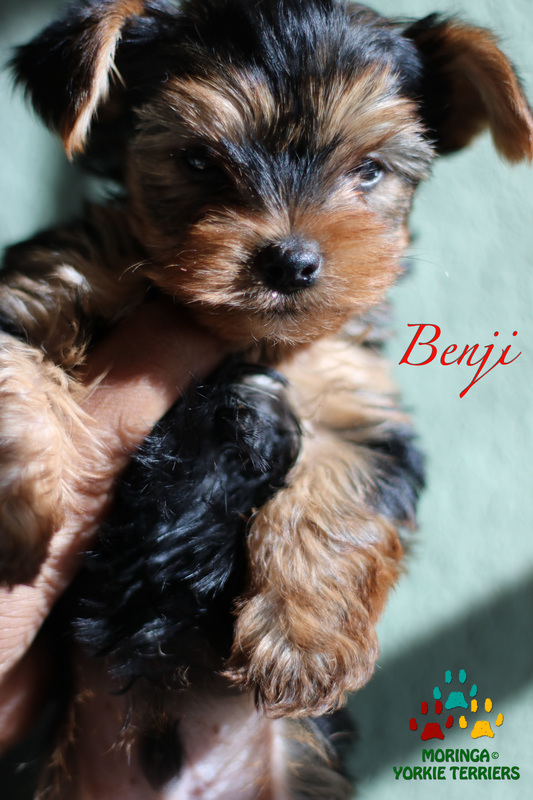 What is a Tea Cup? 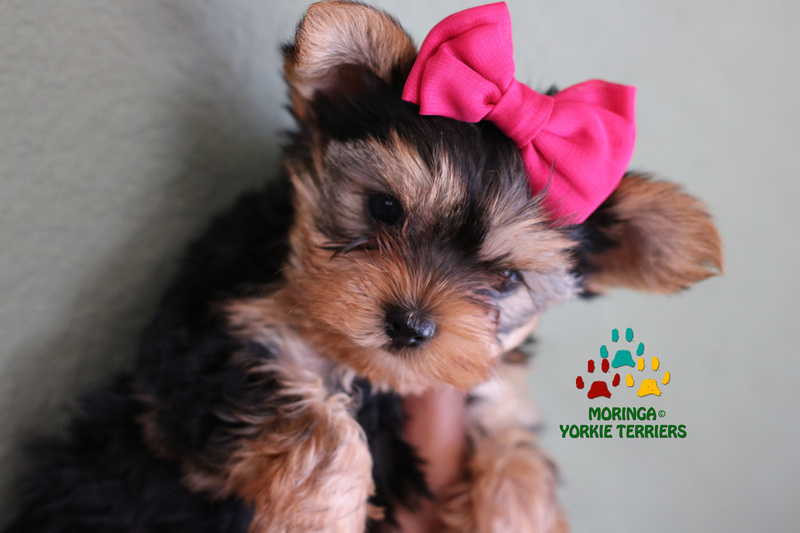 "Really THERE IS NO SUCH THING AS A "TEACUP"
The word "Teacup" has been used to merely describe the size of a puppy, meaning it is very small and will probably be under the standard size which is 4.5 to 7 pounds for the Toy Group. 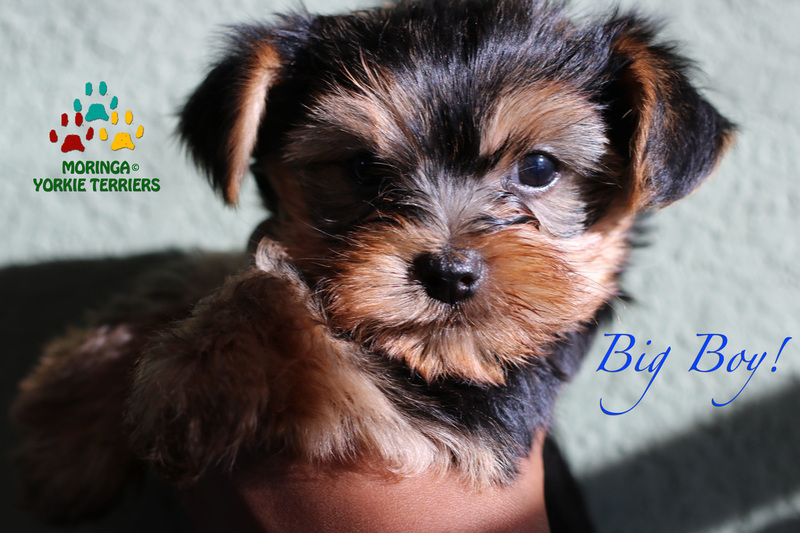 Tea cup may have more health problems due to their small size. Purebred or Non-Purebred Yorkie How to Tell. 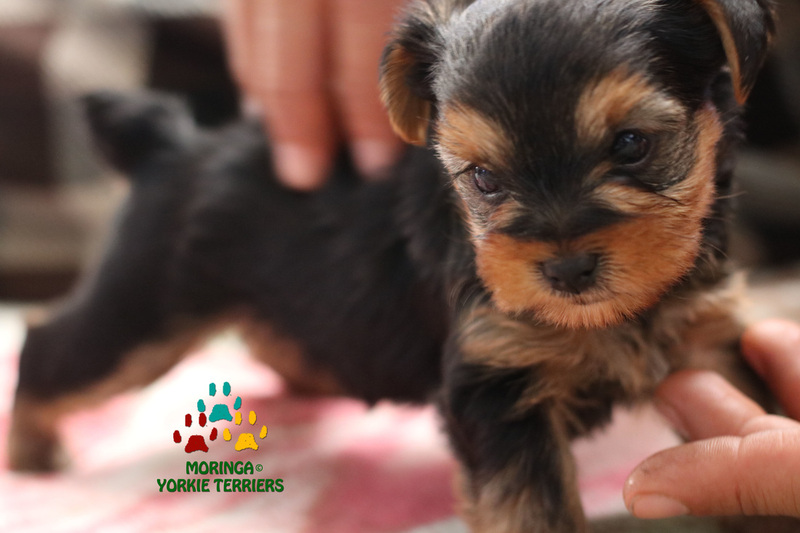 By the American Kennel Club, pure Yorkies should be born black and tan in color. 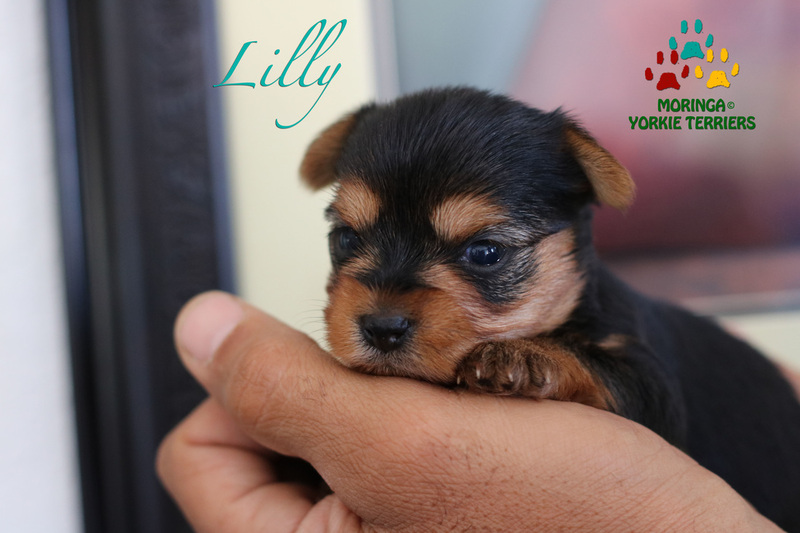 With maturing of the dog, the color will be changing and get intermingled from black & tan, to blue, or Silver. 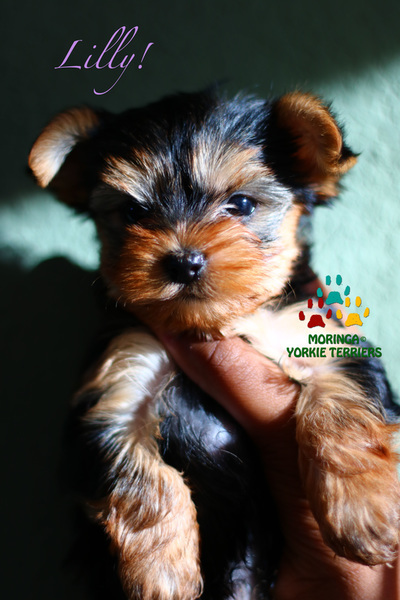 Now there are other yorkie coat colors such as parti, golds, chocolate, merle, white, etc so its best to know the breeder. 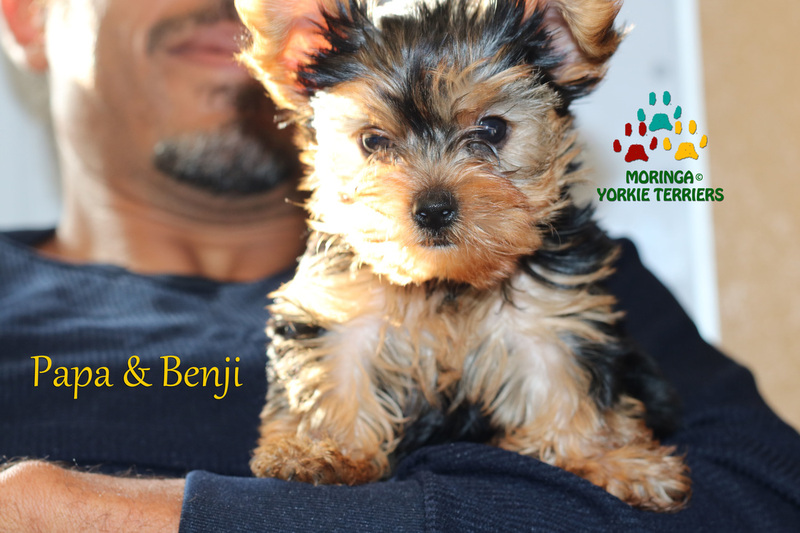 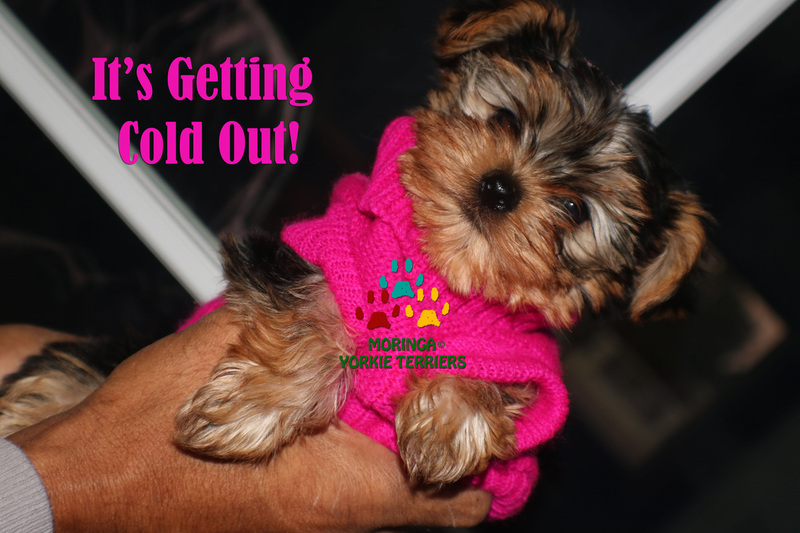 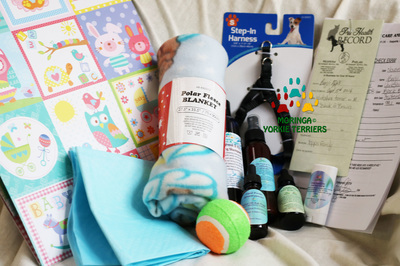 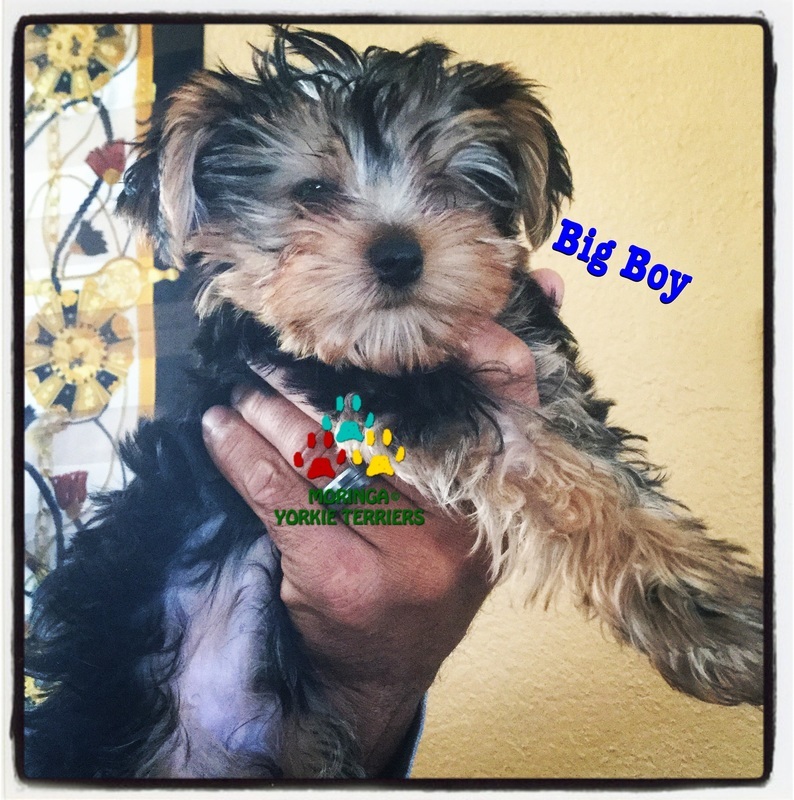 Yorkie Puppies to good homes High Desert, Apple Valley, Riverside, San Diego, Los Angeles and Orange County, San Bernardino County, California and will ship world wide if necessary. 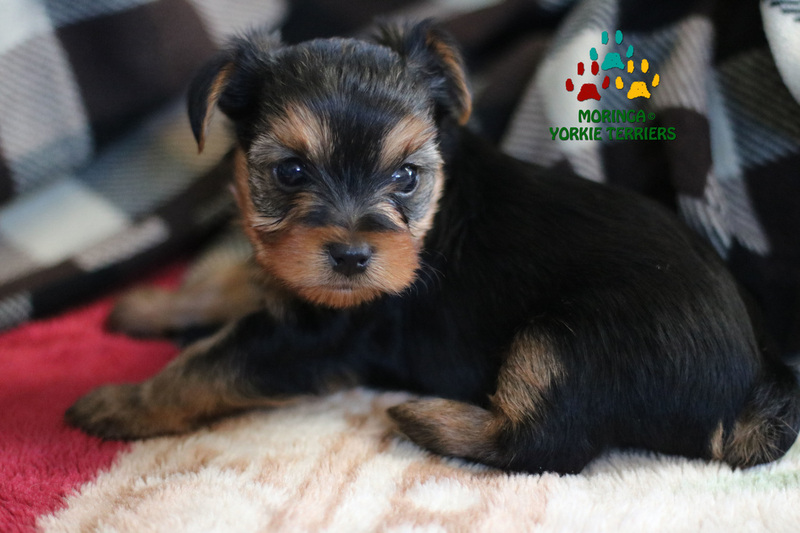 ​We have gorgeous Yorkshire Terrier puppies for sale, AKC, CKC and Champion bloodlines. 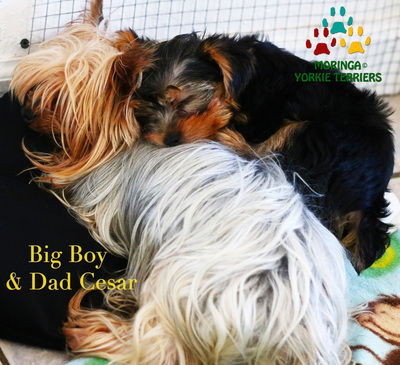 Copyright © 2015-2017 ~ All Rights Reserved.